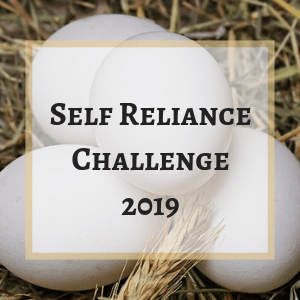 With the new year quickly approaching many of us are turning our thoughts to New Year’s resolutions and goals for 2019. In fact, a quick google search for “Goal setting 2019” returns over 12,000,000 results, and a quick browse through those results shows a dizzying number of approaches and techniques for effective goal setting. Yet statistics show that nearly 80% of News Years resolutions (which are effectively goals by a different name) fail by the second week in February. How many of us have made a resolution in the last week of the year to work out more? Or save money? Effectively we are setting a goal for ourselves for the upcoming year. Yet most of us will fail to meet that goal rather spectacularly. I know I’ve done it, and I’m willing to bet you have, too. So does that mean that resolutions and goal setting simply don’t work? I know a lot of people who refuse to set goals and resolutions. They don’t see a point. I’ve been there. Yet, as Winston Churchill is often quoted as saying, “He who fails to plan is planning to fail.”. So, then, is there a right way to set a goal (or make a resolution) that will succeed? Absolutely! They key is to set yourself up for success, which means following some fairly simple do’s and don’ts. Knocking off a list of dreams for the new year can be deceptively easy. I want to make more money, exercise more, and lose weight. Simple, right? Except it’s not. How are you going to make more money? What exactly do you mean by exercise more? How much weight? If you’ve set a goal that is completely unattainable you’re destined to fail before you’ve even begun. In order to set goals and resolutions that will last past Valentine’s Day they have to be realistic and reasonable. Of course they should be a stretch, but not so much that you can’t ever get there. This one goes hand in hand with managing expectations. We all want something amazing to happen in 2019, and it’s totally possible. However, our tendency as humans is to concentrate on the negative. Instead of celebrating that pound lost last week we beat ourselves up that it’s “only” a pound when Julie down the road lost 5. A huge part of why most of us miss hitting our goals is because we are so concentrated on what we *didn’t* do that we totally fail to acknowledge what we did. Small wins are important. They are what will ultimately get us to our goal. This is the flip side of celebrating success. You’re human. I’m human. Every single one of us is going to screw up. We’re going to fail. We are all utterly, beautifully imperfect. It’s part of what makes us all unique. So for goodness sake forgive yourself! Seriously, you’ll make mistakes. You’ll fall flat on your face. Over, and over, and over again. That does not, however, make you a failure. So take a minute or two to wallow in your latest set back, but then pick yourself up, brush yourself off, and move on. Don’t beat yourself up. And for goodness sake don’t give up! Learn from your mistakes. Maybe re-examine your expectations and adjust accordingly. You are you. You will always be you. Which means you can’t possibly be someone else. So don’t expect yourself to move towards your goals the way anyone else does. If someone else is succeeding, celebrate them. Support them. Don’t judge yourself based on their success, though. That is the quickest way I can think of to demoralise yourself and knock you off the path to your own success. I can think of a million beautiful platitudes about the journey being your own, and ever single one of them is true. You will get there if you let yourself, but it may not look the way you expect, and it certainly won’t look like anyone else’s path. Stop comparing yourself to others and celebrate what you’ve accomplished! Moving into the practical for a moment, break things down! Seriously, “Lose weight” is a great goal, but it’s overwhelming. How are you going to lose weight? Do you need to exercise? What does exercise look like? What about your diet? Do you need a gym membership? What about….argh!! Stop! Looking at the big picture is great, but not exclusively or you’ll drive yourself nuts and walk away from the whole thing as impossible. Break it down. In January cut out soft drinks for 30 days and see where it gets you. My husband lost something like 20 pounds just by cutting out Pepsi for a couple months. February you’re going to look at portion size and adjust things there a little. March you’ll start looking at moving more. Take the stairs at work. Park at the back of the parking lot and walk in. April you’ll add an after dinner walk now that the weather is getting nicer. May you’ll add a weekly bike ride with the family. Not even 5 months in and you’ve made 5 fairly easy changes to your lifestyle and I’ll bet your weight has shifted down. The best part is that by breaking it down into bite sized chunks and giving yourself time to turn each step into a habit you’ve set yourself up for lasting success. The same types of chunking down can work for any goal you’re working towards. The key is to make it manageable. It is so easy to get caught up in reaching our goals to the point where we put blinders on. I am famous for it. I’ll be so concentrated on reaching whatever goal I’m working on that I forget about living my life. How many times have you told yourself that you’ll buy that gorgeous outfit when you’ve lost 10 pounds, or you’ll plan a vacation when you pay off your credit card debt? We’re all guilty of it. The simple fact is that we each only have one shot at this life, and if we waste it driving towards goals, what’s the point? I know I don’t want to reach the end of my life finally having lost all the weight and made my fortune only to look back on my life and realize that I didn’t actually enjoy it. I’ve come to the realization that I would rather take an extra month or two to pay off my debt if it means taking my family on a small vacation now, rather than waiting years for the right time. Or lose the weight slower because I’ve had a glass of wine or piece of cake with good friends. Obviously we need to be realistic (see point 1!! ), but it’s also important to love the life we have while we’re living it. Not “some day”. Live today. Plan for the future, set goals, dream! But also, play with your kids, enjoy the sun on your face, go on a date with your loved one. Do something you’ve never done before. Create a bucket list and cross something off it! Heck, that might even be a good goal for 2019…cross one item off your bucket list (and yes, it’s totally cool if you didn’t know it was on your list until you did it…). At the end of the day we all have some idea of where we want to go. It might be something fairly short term like the weight loss example I keep coming back to, or it might be something bigger. Something life changing. Regardless of what your goal is, you can absolutely get there. 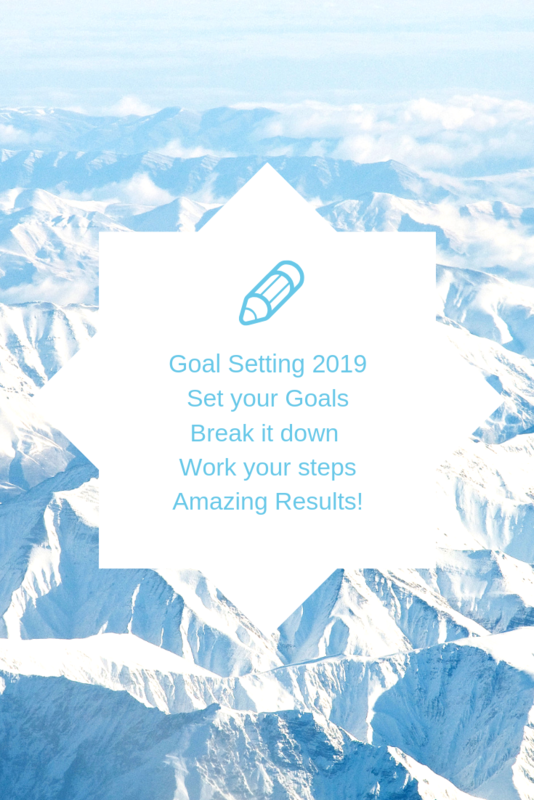 What are you goals for 2019? I’d love to hear about them! I want to give a shout out to Melissa, I have known her for a number of years now, first meeting her here in Ottawa area, then staying in touch as her family moved to England and back again. I will be sharing a guest post now and again over the year in helping to promote her new adventure as a life coach. Melissa has always been a amazing ear to have listen and give sound advice afterwards. I am proud of her for taking this skill to the next level along with her training done towards this. I have worked along side her on a few different community based programs and I can honestly say that she just gets calmer and steadier in times of pressure. Its a lovely skill to have in life! Melissa Clarke is a wife, a mum, a daughter, and a life coach. When she’s not running to keep up with her children she can be found creating, reading, or working out (although that doesn’t happen nearly often enough!). This entry was posted in Life moves on daily and tagged Realistic Dreamer Life Couch. Bookmark the permalink. J > Maximum of 7 goals, and 7 backup goals, in case any first choices prove to be intractable. that’s its way to do it J.. thanks for sharing..